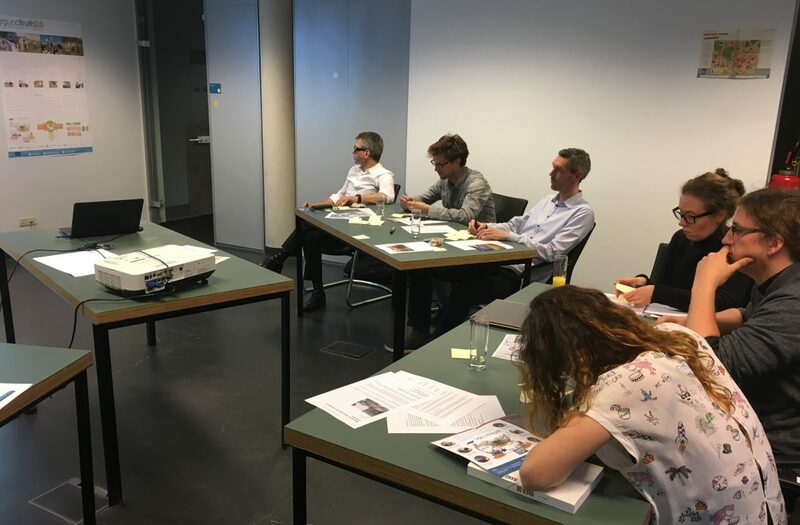 The first Ground Truth 2.0 co-design workshop in the Belgian Demo Case, on 11 May, focused on exploring how air quality and noise issues in the local environment in Mechelen are experienced and defined. The workshop brought together citizens, experts and civil servants with a keen interest in air quality and noise in Mechelen. In an active group dynamic, using a ‘sustainability compass’, observations of how noise and air quality issues have a local impact were structured. On an individual level, wellbeing and health effects were the dominant impacts. Zooming out to a more general level, societal, economical and biological impacts were the dominant impacts. To define the central challenge in this Demo Case, the workshop focused on the questions ‘What can we do?’ and ‘How can we do it?’. The central challenge was defined as: “Air pollution and noise disturbance have an impact on health, quality of life and social cohesion in all neighbourhoods and villages belonging to the municipality Mechelen”. The workshop is part of the co-design and co-creation approach of Ground Truth 2.0. This iterative process of the Citizen Observatories (COs) with stakeholders (citizens, policy & decision makers, scientists, etc) takes into account local governance goals, customs and languages to map user requirements for the technical and functional aspects of the COs. The Belgian Demo Case is led by VITO.